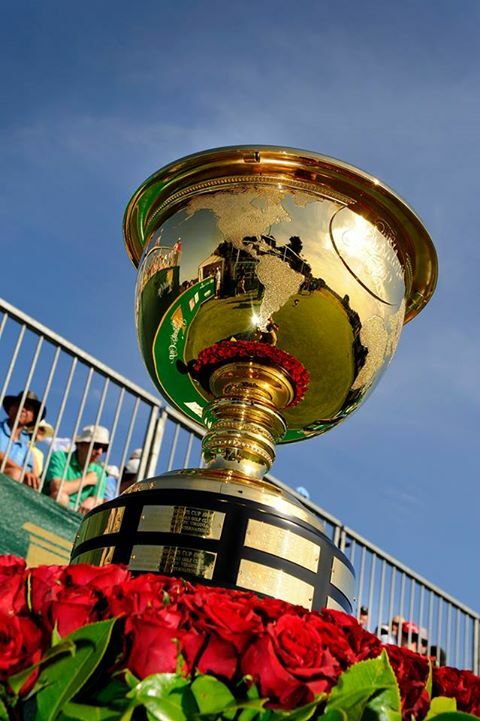 The Ryder Cup format is a compelling one that works on many levels. Even before it was played at Medinah last year, I knew how big it was. But seeing it up close, and seeing the way it gripped a city like Chicago in the midst of Bears/college football season, was boggling. That said, this week’s Presidents Cup isn’t going to come close to generating that kind of excitement even though it uses the same dramatic format. As one who loves the Ryder Cup approach—we play an annual scaled down Writer’s Cup between Illinois and Wisconsin media that’s always a treat—I wonder why even though I know the answer. One problem is that the International team has won only once in nine tries since the event debuted in 1994. Another is that the Ryder Cup, which began in the ‘20s, has a long and rich history. Another is that the Euros have been handing it to Team USA lately. And Europe, especially the United Kingdom, gets jacked up for the Ryder Cup in a way that Australia and South Africa can’t, from an opponent standpoint. I was impressed by how many Euro fans crossed the pond to watch, and dazzled by the celebrities inside and outside the golf world who were in the gallery when I walked with Keegan Bradley and Rory McIlroy on Sunday. Another reason the Presidents Cup will have its hands full is that football season remains tough competition in vast portions of the United States. Even the Ryder Cup has to battle for attention in Chicago, for example, with the Bears and our college football teams. That said, the Presidents Cup should provide some intense, fun drama this week—especially if the competition remains close. And with so many football games moving to evening kickoffs, it’s going to be easier to check it out.